Leave it up to the Lillian to keep you dry while looking sharp! Premium, waterproof leather uppers with a woven rear panel. Features a full length side zipper for an easy on and off. Soft and breathable textile lining wicks away moisture to keep feet dry and breathable. Features a molded, removable, EVA footbed that boasts Memory Foam cushioning for all-day stability, comfort, and support. 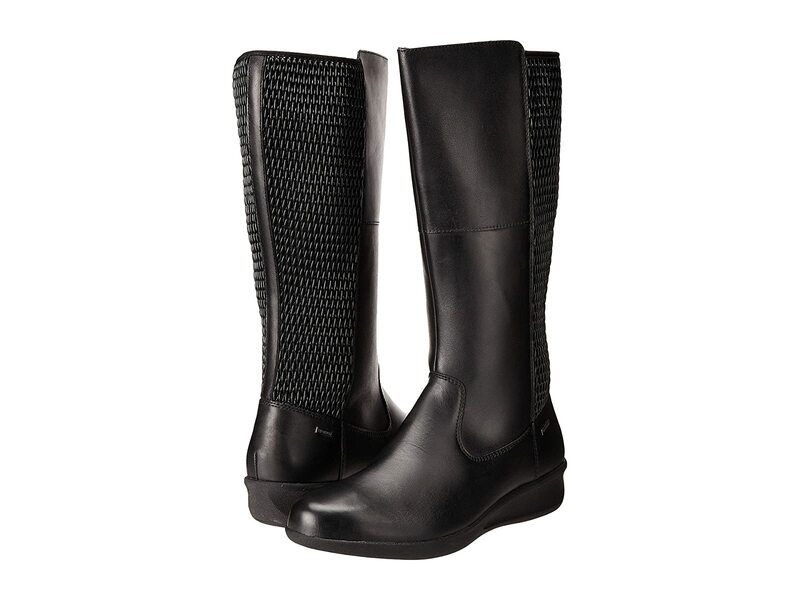 Midsole offers an embedded stability shank that supports the arch and aids in creating a smoother gait. Durable rubber outsole for added shock-absorption.